Spiders on keys, indeed. I’m heading to Zurich in the morning to catch a train to the jazz festival in Montreux, Switzerland — something akin to a pilgrimage to mecca. 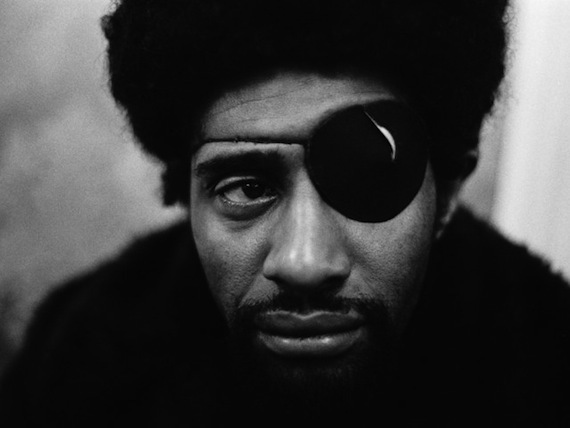 I was first hipped to James Booker sixteen years ago via a live solo recording from the early 70s. And that was it – there was no turning back, I had to hear it all. Prior to the omnipotence of the Internet, much of Booker’s life outside of the recordings themselves was a mystery comprised of hearsay, exaggeration and half-truths. In fact, much of what I initially cribbed concerning the late Booker’s life was thanks to excerpts from the excellent (now back in print) Dr. John biography “Under a Hoodoo Moon.” Wild/fascinating tales that only stoked the Booker mythology. I featured the following 1978 live recording (recorded at the Montreux Jazz Festival) back in October of 2005 as part of the original Live Upload Series. I’m re-upping it here. I’ve collected a number of live documents from this New Orleans piano master, and Live at Montreux is by far my favorite. Pearls on black velvet, the set is essential listening for Booker acolytes and New Orleans piano disciples alike. Very raw arrangements with Booker backed by a loose electric pick-up band that just swings. Download / tracklisting after the jump. . .
Seek out Lily Keber’s “Bayou Maharajah” documentary or David Kunian’s “James Carroll Booker III: The Life Music and Mystique of the Bayou Maharajah” radio documentary. And Live at Rosy’s too. the amazing documentary “Bayou Maharajah” is available on iTunes and Amazon video. Hat tip to JazzLunatique on the David Kunian radio doc. I found it on PRX.org. Thanks for sharing the songs . also in one single file . Thanks.